Mobile First, is happening now your Website & Landing pages need to be mobile responsive, fast and engaging to win clicks and sales. New Technology, Access new technologies that your competitors don’t even know exist. Get a competitive edge. Results, your company will receive more visitors, leads & sales. Experience, we bring professional creative & account management to your business. Planning, we work with you to develop an ongoing strategy & continuous improvement. Keeping up, digital Marketing is changing fast we keep you up to date with the latest strategies. Tools, access to powerful tools and software that will give you a competitive advantage. Begin, we start by learning about your company. All prospective customers receive a free introductory analytics review & comprehensive proposal. TrueDart will set up comprehensive analytics tracking & keep you updated. Providing exactly the information you need to make vital business decisions. 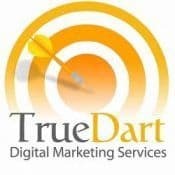 TrueDart will proactively manage your websites SEO stratagy to earn the best rankings possible. TrueDart will proactively manage your advertising spend to maximize lead flow. Containing cost within your budget and strive to meet your targeted ROI goals. TrueDart will make available to your company the latest tools growing your competitive edge. We are your in-house digital agency partner. a Denver-based Digital Marketing and Pay-Per-Click Management agency specializing in B2B and education website marketing & design . providing results-driven website design and development, and online advertising and reporting. The needs of B2B companies. We will help you attract the right traffic to your website and convert qualified leads into sales prospects. We use a wide array of tools to help you reach your goals. Many will give you the edge you need to out perform your competition. If you have a Goal we can help you reach your target.